The ordered VPS is available within minutes! We provide free technical service throughout the setting up of your system. *: The discount price applies to a one year subscription. The discount price is valid until recall and do not go hand in hand with any other restrictions. **: The actualy CPU speed depends on the host node the VPS is assigned to. All prices are gross prices. You can buy supplemental services for your VPS at the site "My services" by clicking ont the name of the VPS wich you want to upgrade. You can add accessories to your VPS 24/7. All VPSs as ProfiVPS.hu are running on IBM x3550 and X3650 family servers. We increase our resources according to the demand of our customers so we can always provide maximum performance. VPSs are perfect solutions if you do not need a full server alone but you want full administrational rights in your system (root account). 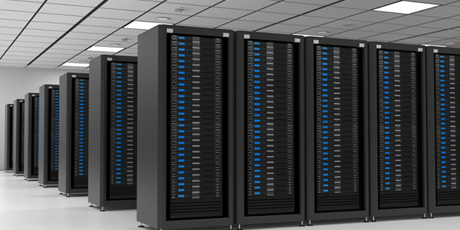 Our VPS servers are located in the hosting rooms of Deninet Ltd. (at the BIX - Budapest Internet Exchange building) building and they have guaranteed 10 Gigabit connection. So you can assume low ping latency and stabile, high bandwidth. Our main service is basen on OpenVZ virtualization, but we can serve fully virtualized environment on demand (onto which the user is able to install any kind of operating system). The OpenVZ based environment is a shared kernel environment, which provides the best available performance, though only Linux based operation systems are available through it. The below listed operation systems are available now, but we are eager to install any other if our client needs that. Feel free to ask for other! Our clients can easily manage their VPS through HyperVM control panel using features like restarting, stopping, operation system reinstallation. It also enables chaning of system password, and has a Java based SSH console through which they can access their VPS even if they shut off it's network.